After launching Nokia 2 a few months ago, the global HMD is now rumored to soon launch its cheapest Android smartphone named Nokia 1. Leaks of entry-level smartphones have started to appear since the beginning of this month and recently leaked about this smartphone appears again . A Russian journalist, Elder Murtazin had previously sent a tweet through his account that Nokia 1 will be present by running Android Go (Oreo Edition). For those of you who are unfamiliar with Android Go, this is basically a lighter OS than standard Android OS because it is devoted to devices with low hardware. While Nokia 1 would be an entry-level smartphone, would make sense if this smartphone will be present with Android Go. 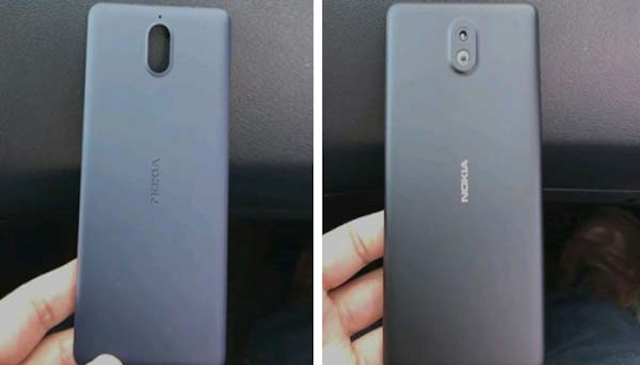 The latest leak this time in the form of photos showing the rear panel of the smartphone Nokia 1. But because the leak this time only displays the rear panel of the smartphone, so not much is revealed. We can only see that the rear camera and LED flash look prominent and of course we will not find fingerprint sensor on this smartphone. Although not reveal many things, at least the existence of this leak confirm the existence of Nokia 1, with a note if the leak this time is true. Meanwhile, according to previous leaks, this smartphone can come with 5-inch screen HD resolution and powered Snapdragon chipset 212 to bring 4G support. In addition, Nokia 1 is also expected to have 1GB of RAM. Unfortunately there has been no leak about the launch date and price of this smartphone, but according to news that appeared earlier said if the smartphone running Android Go will be priced around Rp400 thousands in India.